California Vehicle Code Section 5101.4. (a) Any person otherwise eligible under this article who is a recipient of the Army Medal of Honor, Navy Medal of Honor, Air Force Medal of Honor, Army Distinguished Service Cross, Navy Cross, or Air Force Cross may apply for special license plates for the vehicle under this article. (b) The applicant, by conclusive evidence, shall show that the applicant is a recipient of one of the nation's highest decorations for valor, as specified in subdivision (a). (c) The special license plates issued under this section shall contain the words "Legion of Valor" and shall run in a regular numerical series. An adhesive sticker denoting which of the nation's highest decorations for valor, as specified in subdivision (a), is held by the applicant shall be affixed in a recess provided for it on the license plates. (d) Upon the death of a person issued special license plates pursuant to this section, his or her surviving spouse may retain the special license plates subject to the conditions set forth in this section. Upon the death of the spouse, the retained special license plates shall be returned to the department* either (1) within 60 days following that death or (2) upon the expiration of the vehicle registration, whichever occurs first. (e) Sections 5106 and 5108 do not apply to this section. * Throughout this page "the department" refers to the California Department of Motor Vehicles. 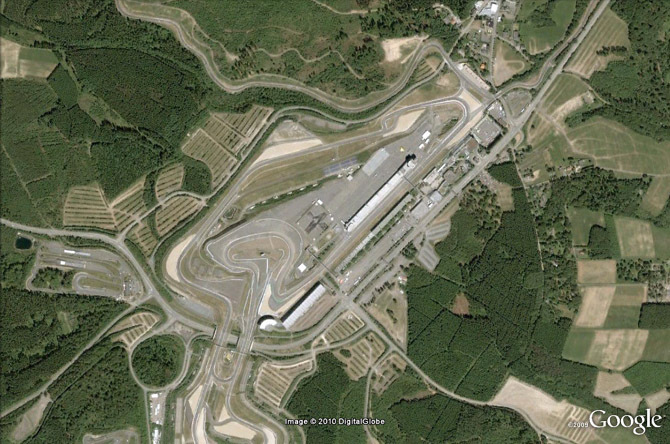 Wired's Autopia has assembled an amazing gallery of ten great racetracks as seen from space. This is the historic Nurburgring in Nurburg, Germany. 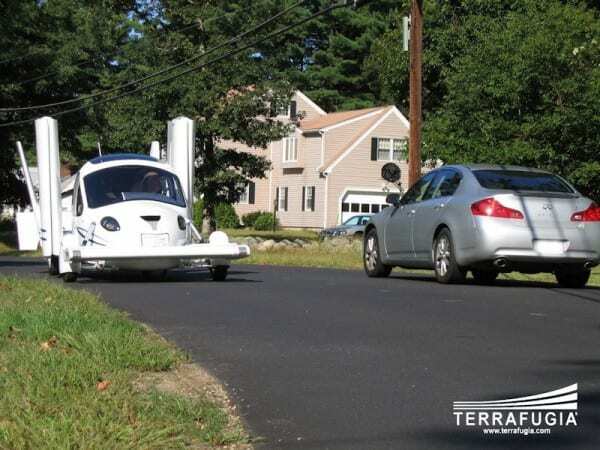 The FAA has approved the Terrafugia Transition. The automotive gas powered two-seater can drive up to 65 mph on the road, and fly up to 115 mph in the air and, with its wings folded, will fit in a garage. A $10,000 refundable airframe deposit can be made on the company's website for the estimated $194,000 purchase price. Delivery is expected late next year. Seventy have already been reserved. Note the bad plastic camouflage cladding. This is the Cummins Mini Cooper to be revealed at this year's Goodwood Festival of Speed. The QSK78 engine weighs 11 tons and is currently the largest diesel engine made in the UK - a 78 liter V-18 with 12 turbochargers. The engine was originally developed to power 360 ton capacity dump trucks. Anyone Tried Hello Kitty Synthetic 5W-30 In Their MINI? BigShow at Northamericanmotoring.com posts his and Rich Sams photographs from the Brands Hatch Time Attack and posts the results. MINIs came in second (+0.498) and third (+0.613) to the winner, a Vauxhall Astra VXR (55.628). MINISpace reports on the MINI Brazil launch party thrown in a subterranean car-park disco featuring a MINI Lifestyle collection fashion show. An exclusive dinner for the first 25 Cabrio owners was prepared by celebrity chef Alex Atala from restaurant D.O.M. Brazil. MINI also partnered with Lanchonete da Cidade, a landmark restaurant of São Paulo, and created the Cooper Burger, a 180 gram hamburger on black bread with English sauce, and served with cheddar cheese, cucumber relish and Collman's mustard. 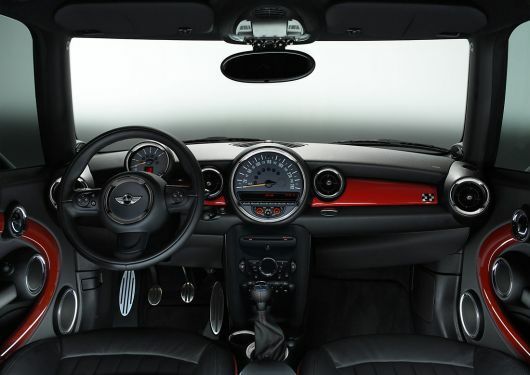 CarType has pictures of the upcoming 2011 MINI Cooper S JCW and also discusses the changes in store for 2011 MINI models. 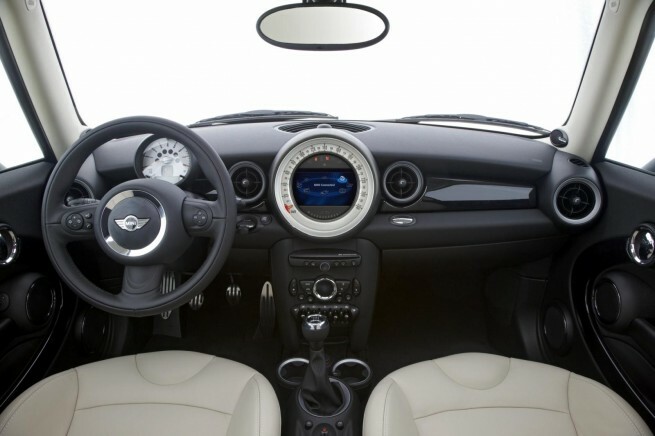 MotoringFile has compiled information from several sources to get a glimpse of the updated interior trim options and changes on the 2011 MINIs. The options and changes are listed here. MINI of Concord has received number 423 of the limited run of 500 MINI John Cooper Works World Championship 50 Editions. You can go down and ogle it for yourself. Only 50 will be available in the entire US. The Special Edition has the same 1.6-liter twin-turbocharged plant that puts out 211HP and it will do zero to 100 km/h (62mph) in 6.5 seconds with a top speed of 238 km/h or 148mph. It is in a special edition color - "Connaught Green" with roof and bonnet stripes in "Pepper White" and 17-inch cross-spoke alloy wheels finished in "Jet Black." It also includes a JCW aerodynamics package, a tons of carbon fiber parts (such as the bonnet scoop, rear diffuser, exterior mirror caps and tailgate handle) and special insignias. Inside the interior is full of carbon fiber trim overlaid by red touches and black leather seats with contrasting red piping. The red theme is also used on the knee-rolls, armrests and the floor mat stitching, gearshift and handbrake gaiters. There is also a new sport steering wheel with an Alcantara rim. thebigf at North American Motoring has posted a DIY, complete with photographs, on how to change the thermostat on a 2006 MINI using his 2006 MCS JCW Competition Edition as the example. Peter Barker's 1965 Austin Cooper S was the only Mini entrant in the 100th anniversary running of the Rallye Des Alpes, an historic rally through the alps, and tied a 1959 Triumph TR3 for the overall win. Only classic cars built between 1919 and 1971 could enter the race and only pre-1964 vehicles were eligible to win the rally. On August 21, 2010, NorCal MINIs will get a tour and behind the scenes look at the operation of the Marine Mammal Center. Our day will start at 8:30 a.m. when we meet up for a short Marin MINI Run (Meet up location to be announced) and, then, out to the Marine Mammal Center by 10:00 a.m. for a one hour guided tour of the Center's hospital. There, you will see marine mammal patients, visit the "fish kitchen," chartroom, and laboratory, and witness a rescue demonstration. After the tour we will head to the British pub The Pelican Inn for lunch. Please use the Paypal Button To Pay For Your Tickets. The Center has an urgent need for used towels. Please bring all those old ones (even the ratty ones) you can't use to dry your car and help the Center rehab a marine mammal. This event is open to the entire MINI community. We look forward to seeing you there! Definitely a chick car. Love to see her headlights. Is The Manual Transmission Dead? Since Ferrari announced that its 458 Italia V-8 will never have a manual gear shift and other supercars like the Lamborghini LP 570-4 Superleggera, Lexus LFA, Bentley Continental Supersports and Mercedes-Benz SLS AMG are also not available with a manual transmission, The Detroit News writes that the manual transmission's obituary may be near due to new and improved automatic technologies. More than 91 percent of 2009 model-year cars sold in the United States were automatics, according to Ward's Automotive Group. With so many changes in the automotive industry in the past couple of years it has become quirte hard to determine who owns who and how car brands are related. 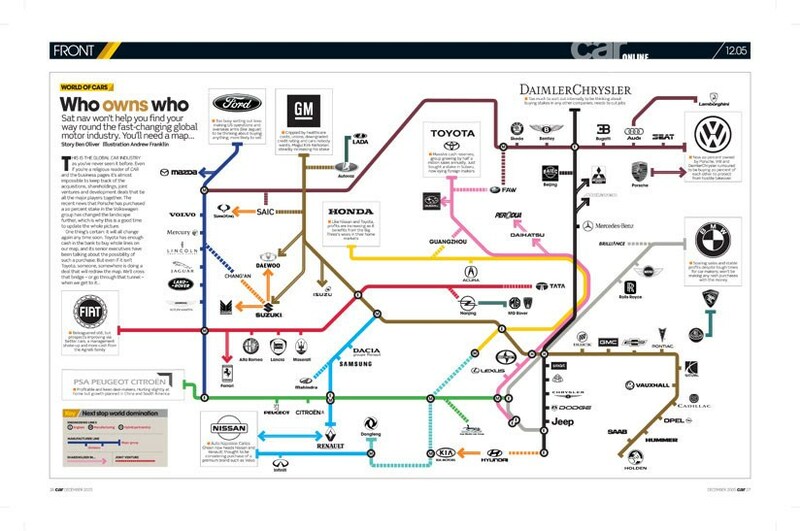 CAR Automake has produced a series of "Subway Maps" to explain all of the interrelationships. So chosen by MSN Autos in this article. BMWBlog elaborates on the changes disclosed with the premiere of the facelifted 2011 MINIs. New touches include optional automatically dimming exterior mirrors and new ambient lighting in a broad spectrum of colors; and the MINI Connected system that integrates the Apple iPhone and permits operation of the phone's telephone, music player and online functions via a joystick, steering wheel buttons and on-board monitor with an optional Facebook and Twitter reader function, web radio, RSS news feeds reception, Google local search and Google Send to Car service. The range of seat upholstery, interior colours, trim elements and Colour Lines has been extensively revised. Among the newly introduced options are the Cross Check cloth/leather combination, the interior colour Polar Beige, trim elements in Striped Alloy, Black Checkered and Pepper White, and the Satellite Grey and Toffy Colour Lines. Adaptive Headlights, a technology that allows the headlights to follow the line of upcoming corners to ensure illumination of the road surface with the steering angle, yaw rate and speed of the car taken into account to determine the beam angle of the headlights, are now available in conjunction with the optional xenon lights. Automatic dimming exterior mirrors are also a new option. Savannah Rickli, of Littleton, CO. is the youngest female competitor in Pikes Peak Hill Climb race history. She finished her run in her 2003 Mini Cooper in 13:58.232 and was brought to tears after reaching the summit. The junior at Dakota Ridge High School said "This is such a personal victory. I've been waiting for this moment since I went to my first Hill Climb 12 years ago. I'm just so happy to be up here." Sheet metal changes include a revised front bumper with new fog lamps; a lower air intake and two brake air intakes on the Cooper S. The headlights have been changed slightly and the side indicators have a new concentric circles design. The new rear bumper houses LED tail lights that use dynamic intensity lighting which varies depending on the deceleration force applied. There are five new exterior colours and new alloy wheel designs. more option and product information; simple model selection with ability to carry-over options when switching from model to model (where applicable); the ability to configure a car in any order; access to payment estimator at any time; and, now, the printed brochures include options codes. Does Eleanor Abernathy Live In South Dakota? The South Dakota Supreme Court upheld a police officer's actions when he seized 15 cats from a woman who was driving with the animals running free inside her car. In a 3-2 decision the Court ruled that the cats were a distraction and interfered with the driver's ability to see where she was going. The driver nearly backed into the officer's patrol car at a convenience store parking lot because of the cats in her back window. Howstuffworks chooses what it believes are the top 5 most dangerous roads in the world. None are in the US. We think Howstuffworks is wrong. They have never driven I-880 South during rush hour. Now, that's dangerous! 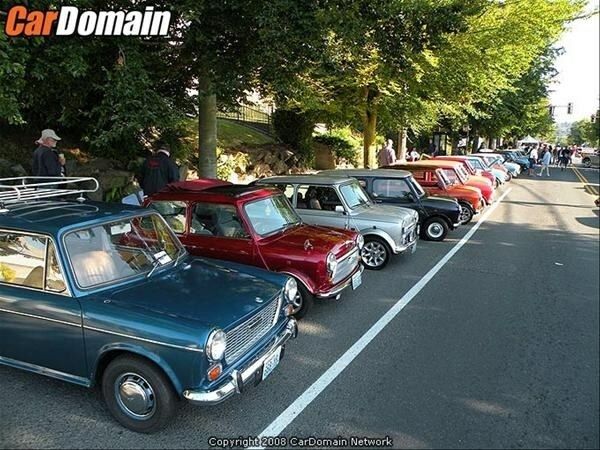 MotoringFile reports that the 2011 MINI refresh will debut next week. The refreshed MINI will have new, more powerful and efficient, engines, new colors and interior and exterior improvements. Orders will be taken starting in August with deliveries set to start this September. Julia Layton for The Learning Channel offers these "10 Ways to Keep Kids Quiet in Cars and on the Plane." 10. Take Advantage Of Technology (give them an iPhone, iPad, video player). We think some of her suggestions are more grueling and harmful than just letting the kid cry it out. 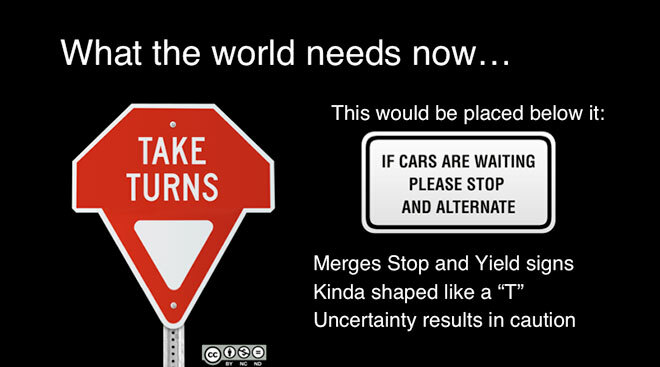 The idea behind this sign is that drivers can keep moving when there are no other vehicles at an intersection. Statistical analysis indicates that this new intersection paradigm could save $112,238 a year in lost gas and time per sign. In a MCS JCW. Weeeeeeeeeeeeee!!!!! If you happen to be in the North Seattle neighborhood of Greenwood this Saturday you should drop by the 18th Annual Greenwood Car Show. The Show is not only about classic and hot rods, but about the Greenwood neighborhood. Last year they donated $10,000 to the Greenwood Food Bank and Greenwood Senior Center. Displayed will be more than 1000 hot rods, customs, classics, muscle cars and stockers of all makes, hydro planes, city buses, Seattle police cars, steamers, electrics and motorcycles. Howstuffworks has posted a quiz to test your knowledge on how your engine works. Click here to take the quiz. Judged by a panel of 65 renowned motoring journalists from 32 countries as disparate as the USA, Japan, China, Russia, New Zealand, India, Korea, Germany, France, Romania, South Africa, Mexico and the UK, the Awards highlight and acknowledge engine engineering excellence. Judges apply their impressions from driving today's latest cars to help them find the powerplants that offer the best driveability, performance, economy, and refinement, and reward manufacturers for the successful application of advanced engine technology. The Awards are organised by Engine Technology International, published by UKIP Media & Events, which also publish a number of other automotive titles including Automotive Testing Technology International, Tire Technology International, Electric & Hybrid Vehicle Technology International, Vehicle Dynamics International, Professional Motorsport World and European Automotive Components News. This engine is very usable even in its most powerful form. It’s a real two-in-one piece of engineering: flexible for everyday use, but super sporty on track days. A winning powertrain combination. Apparently, oil from the BP blowout is mixing with water and raining on the Gulf Coast. Research seems to indicate that, by adding chemical dispersant to the plume of oil, the oil is able to partially evaporate and is now pouring on the Coast. No power is provided and cars are not permitted in the booth area. You can sign up to be a vendor here. It is summer time and the temperatures have climbed. Every year there are horrific tragedies when children are left inside a car on a hot day causing severe injury, illness or death. Safekids.org provides these video tips on how to ensure you don't leave a tyke behind. 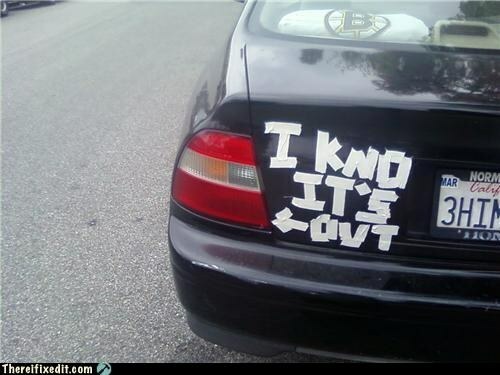 Hang that from your rear view mirror. Men, see if you ever get another date. Women, you'll be fighting off the men to get in your car. Austin Powers’ 1970 “Shaguar” E-Type, from the 997 film Austin Powers: International Man of Mystery is for sale on eBay for $59,990. MINI Space toured the South African music scene and caught up with Marius Müller-Westerhagen, a German rock star and actor, who has fallen for South African music. He has selected 12 tracks by young musicians from Cape Town and South Africa which can be downloaded for free here by the first 2,010 users. You can read more about Marius Müller-Westernhagen's music tour of Cape Town in THE MINI INTERNATIONAL #34 due out in September 2010. AAA projects the number of Americans traveling this Fourth of July holiday weekend will increase 17.1 percent from 2009, with approximately 34.9 million travelers taking a trip at least 50 miles away from home. Trips by automobile are expected to increase in popularity with 90 percent of travelers, or 31.4 million people, driving. AAA expects the national average price of self-serve regular gasoline to be between $2.70-$2.80 per gallon during this Fourth of July holiday weekend. 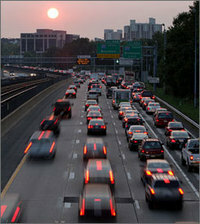 The Fourth of July also marks the busiest travel holiday for emergency roadside services calls. Today, police cars come in all shapes, sizes, models and makes. Ridelust provides "Seven Ways To Spot An Unmarked Police Car." In short, 1. learn what makes and models are used by police in your area; 2. look for multiple antennas; 3. look for semi-hidden strobe lights – grille, rear license plate, mirrors, windshield; 4. look for an absence of dealership markings; 5. look at wheels; 6. look for plain colors – black, silver, white; and 7. Check for a Municipal/state license plate. Whole New Meaning For "Put It In The Boot"
Goal!!! Break Out The Vuvuzelas! Really? They're Trying To Sell Tires? MINI "On The Threshold Of A New Chapter"
The Sequel - "Finding Nemo 2"
You Must Be Kidding? Ads On CA Licenses? Do You Know The Top 5 Signs Of Engine Trouble?